The Committee of Social Partners (CSP) will on Tuesday, 1 October 2013, sign a Memorandum of Intent (MOI) signalling its commitment to negotiate a Social Compact. This historic signing will take place at the Grenada Trade Centre Annex, at 8:00 pm, when the CSP launches it public education series styled National Social Partners Forum with the topic: Be it resolved that Grenada should pursue a comprehensive debt restructuring programme as part of a home-grown programme of fiscal adjustments and structural reforms. All are invited to join the CSP at the Trade Centre Annex for this important event. The event will also be broadcast live on television, radio and the internet. Persons viewing the live broadcast may submit their questions and comments to nationalsocialpartnersforum@gmail.com or to Facebook page Finance Grenada. 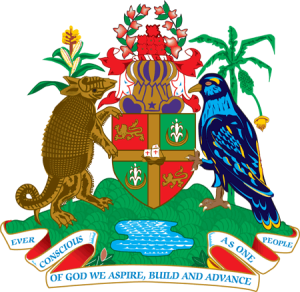 The CSP is an initiative of the Government of Grenada. It comprises representatives from Government, the Churches, the Private Sector, the Labour Unions and the Non-Governmental Organisations. The Chairman of the Committee is Prime Minister, Dr. the Rt. Hon. Keith Mitchell. The first meeting of the Committee was held on 26 March 2013. Monthly meetings are held on the last Friday of every month. The main objective of the Committee is to advance national development through social dialogue, inclusive governance and national unity. To this end, the Partners have committed to development of a Social Compact. This thrust will be considered as one of the main platforms for bringing about positive economic growth and job creation.